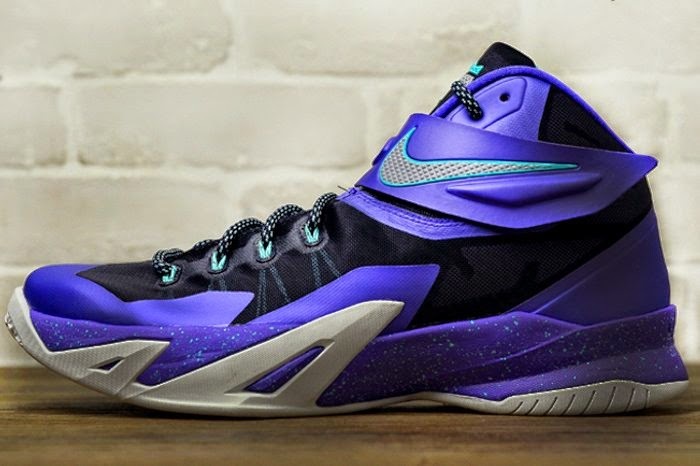 Following the initial look a month ago, we now have a new set of pictures presenting the Summit Lake Hornets edition of the Nike Zoom Soldier 8. 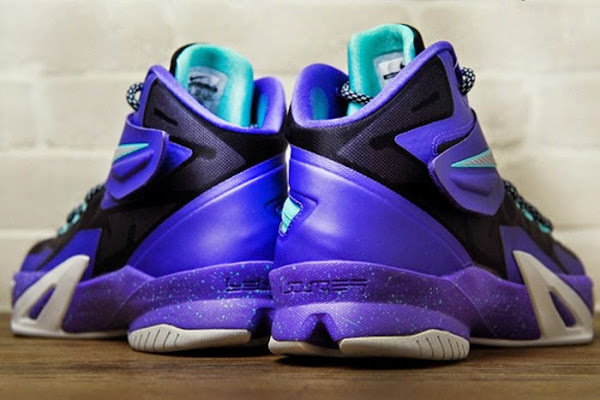 This Cave Purple styled colorway joins the recently revealed Cannon make up as both new Soldier 8’s are expected to be released in the upcoming weeks. 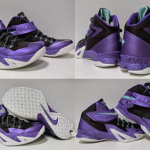 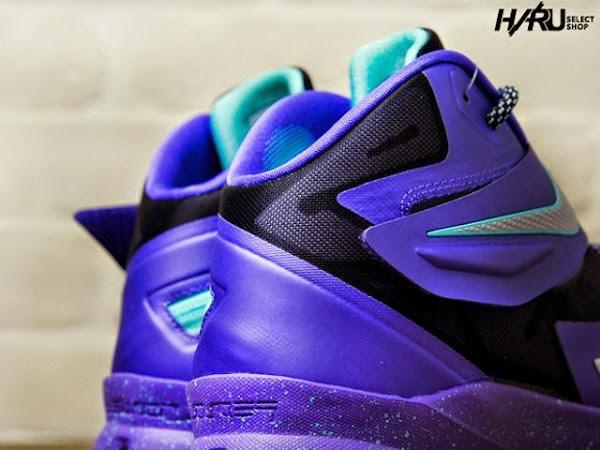 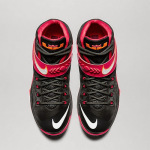 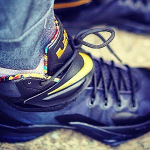 The “Horners” Zoom Soldier VIII features a Black and Purple upper highlighted with Silver branding and Hyper Grape details including a speckled midsole. 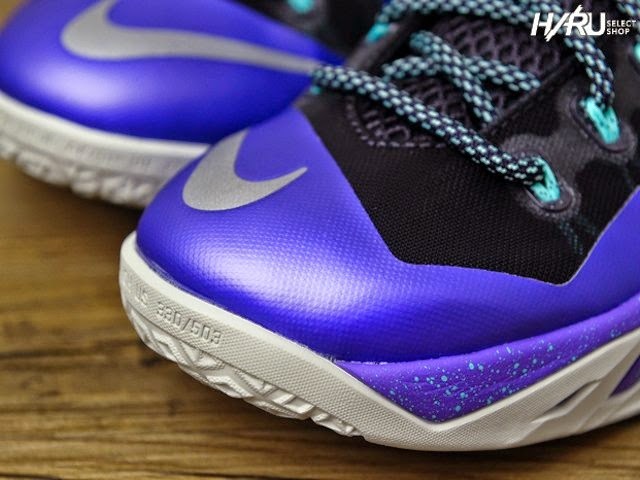 White outsole completes the look below. 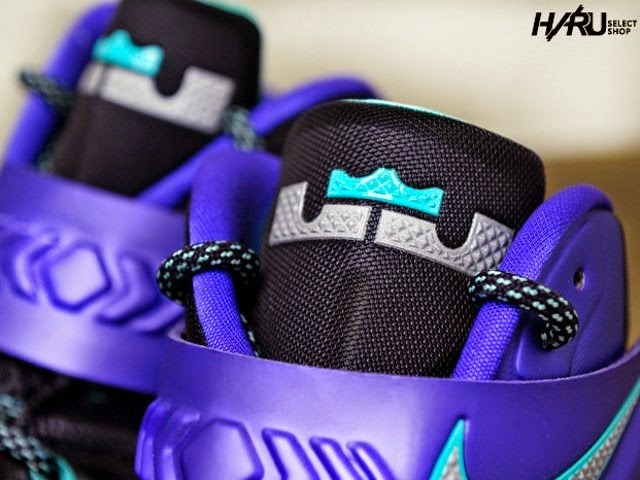 Stay tuned for more updates on the Soldier series and enjoy the new looks after the jump.